Teamwatch - when you field a character who shares an affiliation with Hyperion, deal 2 damage to a Villain die. Hyperion: Eternal is missing a rarity stripe and is common. 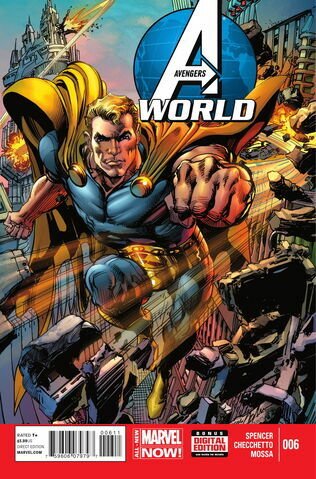 ^ Avengers World Vol 2014 #6. Marvel Wikia Database. Retrieved 20 July 2015.